New Delhi, Dec 8 (IANS) The Enforcement Directorate on Saturday denied that it searched the prermises of persons linked to Congress President Rahul Gandhi's brother-in-law Robert Vadra without an FIR or search warrant, saying its action was within "prescribed procedure". An ED statement said: "ED conducted Prevention of Money Laundering Act (PMLA) investigations in certain cases relating to ownership of undisclosed assets abroad. "And as part of these investigations, the ED carried out search operations on December 7 at a number of premises in Delhi-NCR and Bengaluru by issue of search warrants under Section 17 of PMLA. "These searches have been carried out as per the prescribed procedure," it added. The statement said that documents and digital evidence were seized during the searches and were being examined. The ED searched several places in Delhi and questioned four persons, including a Congress activist and two employees of Vadra, in connection with unspecified defence deals. Earlier in the day, an ED team raided the residence of the Congress worker and Vadra's close aide Jagdish Sharma. Sharma was questioned and let off. The ED has also questioned Manoj Arora, Ramesh Sharma and another person whose identity has not been not disclosed. The ED on Friday also questioned three persons and raided their houses in Delhi, Noida and Bengaluru. 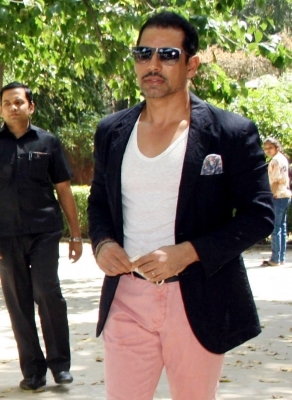 While being taken by the ED officials, Jagdish Sharma told reporters on Saturday: "Robert Vadra is being framed. The Modi government wants to trap him. Searches are on at my residence. What will they get when there is nothing? They are taking me to ED office for questioning." The Congress termed the ED action as "blind vendetta" by the government to score political points. According to the ED, the suspects are linked to the firms of Vadra and are linked to alleged commissions received by some suspects in defence deals. The agency refused to share details of the defence deals.